Across the frame, the tubing varies in shape and composition, you can really see this around the seat tube which makes for a compliant ride with added comfort. Both the Lexa SLX and the Domane bikes feature the IsoSpeed decoupler, probably their main selling point and a comfort bonus for the endurance rider too. 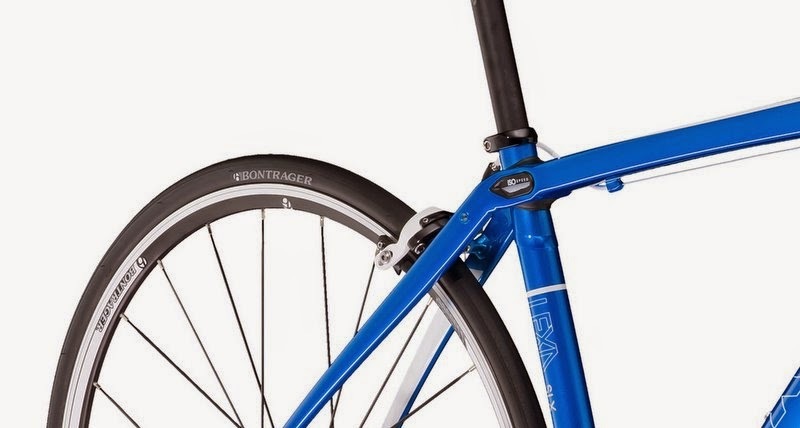 Essentially, the decoupler keeps the seat tube and top-tube independent from one another, which dramatically reduces road buzz, vibration and shock, and makes for a very comfortable ride without affecting pedal efficiency. And it’s not just the frame that offers a comfortable ride, the carbon-legged fork is designed to absorb more of the road shock and increases front to rear compliance. The fork is laterally stiff so you get good steering control, and the sweeping leg shape with the extra curve at the dropout minimizes vibrations traveling up the fork to the frame and rider. The wheelbase is 3cm longer than the more race-oriented Madone WSD range. 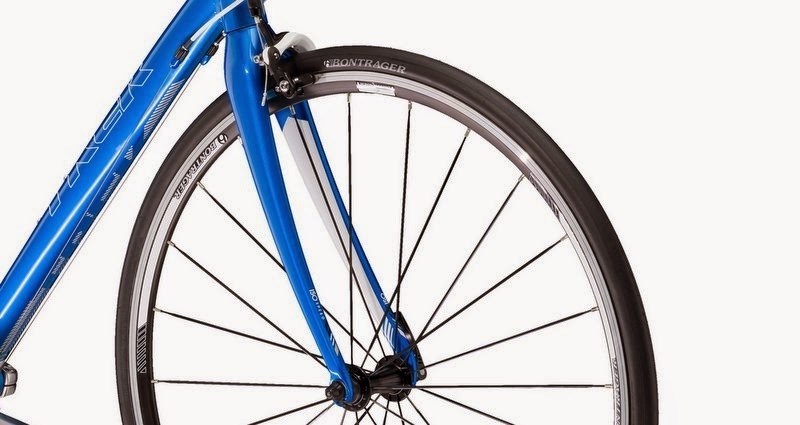 The extended wheelbase is achieved with a more relaxed head angle, longer chainstays and a fork with a longer sweep; the effective top tube length is 53cm. The chainset is made up of high quality Shimano 105 shifters and derailleurs, with a Shimano Tiagra compact crankset and 10-speed cassette. Another useful detail is the SpeedTrap compatible computer sensor integrated into the fork leg. Recording speed and distance is simple and no need for bulky sensors or wires either. The Lexa range has four bikes, starting with the entry level Lexa, then the Lexa S and SL. 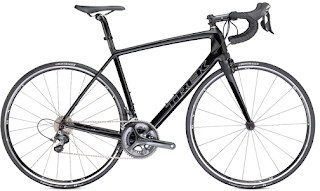 Only the top end Lexa SLX has the IsoSpeed decoupler and Endurance Fit geometry found on the higher priced Domane bikes. 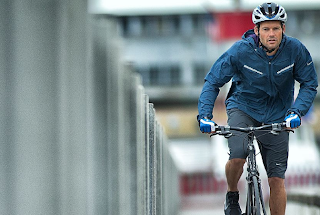 It’s easy to be a fan of the Lexa SLX. The comfort and endurance bias is obvious from the first ride, and yet there’s enough of a responsive and racy feel to make the SLX feel at home on a competitive ride too. If you haven’t tried the IsoSpeed system— put it on your to-do list this weekend.